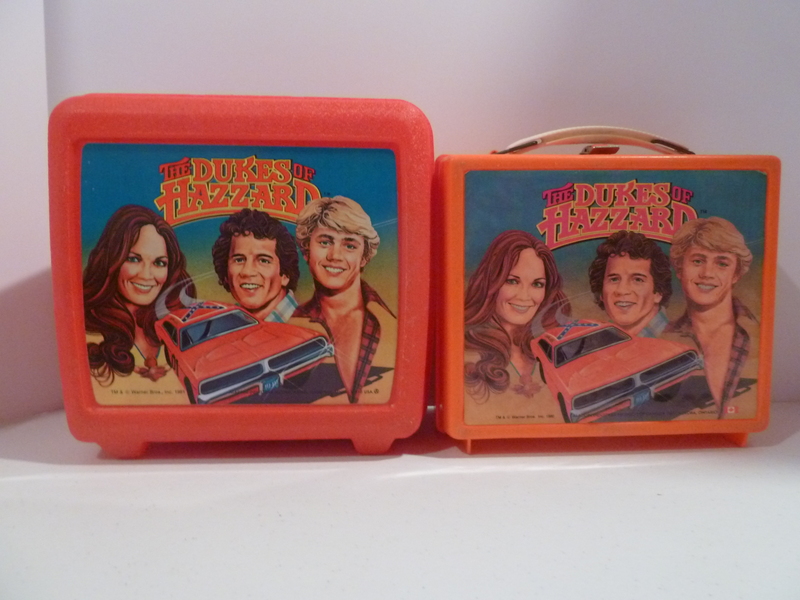 Orange plastic lunch box that featured a sticker that had the same artwork on it as the metal lunch box. Features the Canadian flag on the sticker. 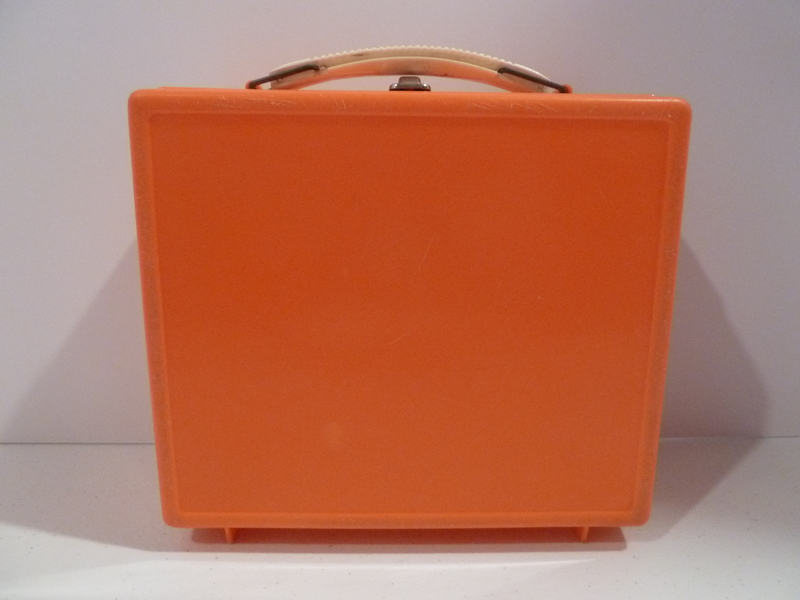 Came with the Canadian Thermo Bottle that has the orange lid and base. 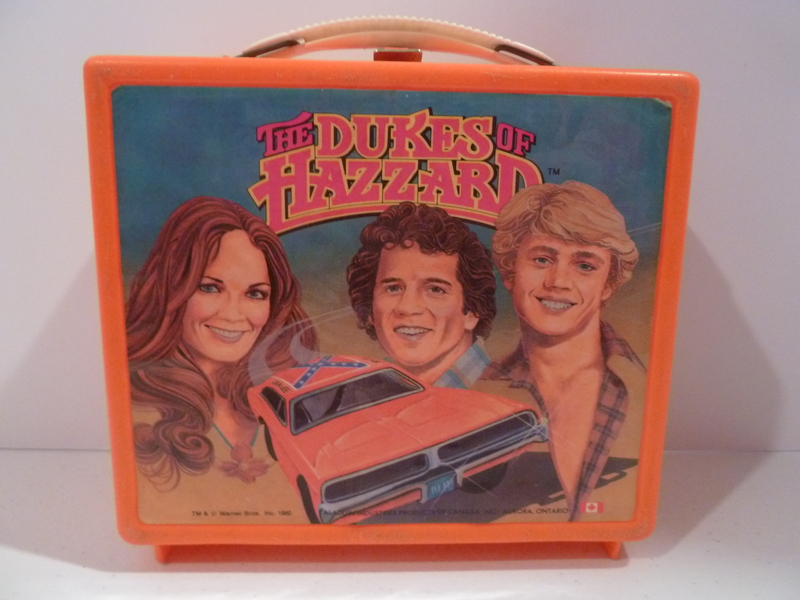 Blog Mention The Dukes of Hazzard Lunch Boxes by Aladdin - Did You Know There Are 5 Different Ones?